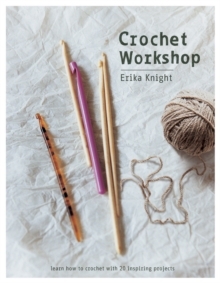 Featuring an inspirational collection of 250 stitches, 'Crochet Stitch Motifs' is an indispensable reference for crochet enthusiasts. 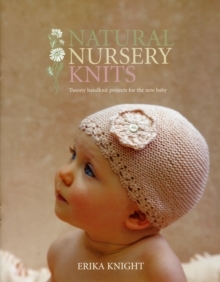 From a Popcorn Trefoil and a Two-Tone Hexagon to a Fanning Points Motif and Openwork Cross, each of the stitches can be easily used as a foundation for bags, blankets, embellishments, and much more. 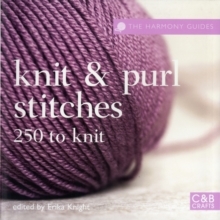 Each stitch features a full-color photograph with clear and concise pattern instructions. 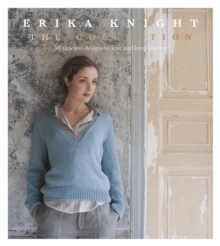 Whether you're looking to transform a basic tunic or an afghan into a dramatic eye-catching design, you''ll find all the stitch inspiration you need to create something special. 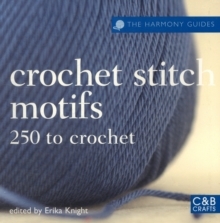 'Crochet Stitch Motifs' and 'Basic Crochet Stitches' are the premier titles of the crochet series. 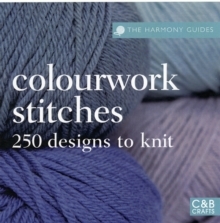 'The Harmony Guides' have been longstanding references for handcrafters for more than thirty years, with over half a million worldwide sales. 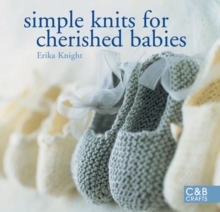 C&B is proud to announce that internationally renowned best-selling author and knitting expert Erika Knight will be steering the series on its new journey. 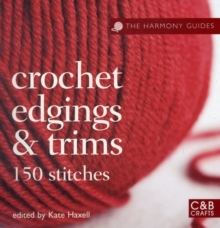 All titles are fully revised and updated with eye-catching photography and innovative new stitches, but also never forgetting the heritage of the guides, these really will be the only reference titles on any crocheter''s bookshelves. 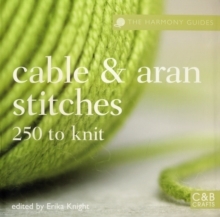 Other books in the series include: 'Knit & Purl' (978-1-84340-403-3), 'Lace & Eyelets' (978-1-84340-423-1) and 'Cables & Arans' (978-1-84340-425-5).